February 2, 2019 By HHSA / Posted in 2019. The draw is now out for our annual Championships- wishing all competitors the best of luck and a weekend of fabulous dressage! February 1, 2019 By HHSA / Posted in 2019. 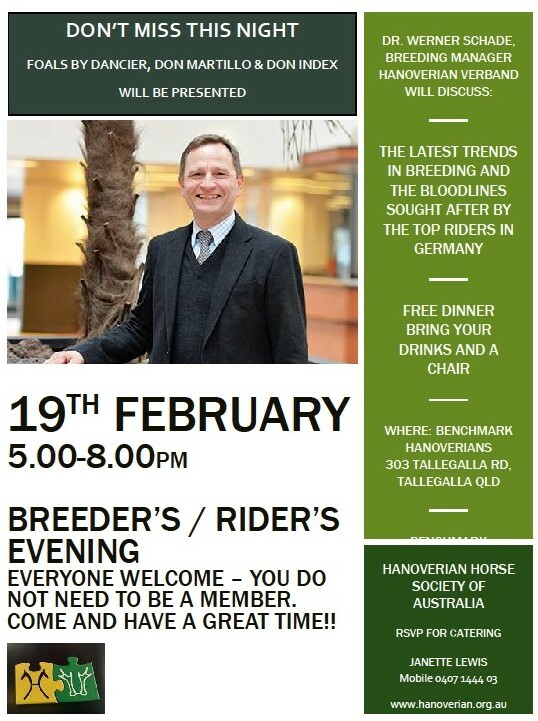 All interested breeders, whether HHSA members or not, are invited to join us for an evening of great company and a Q & A Session with Dr Werner Schade, Breeding Manager of the Hanoveraner Verband on 19th February at Benchmark Hanoverians, 303 Tallegalla Road, Tallegalla QLD . Come along and find out what stallions are trending in Germany, what lines are working well together and what stallions you can use if you are seeking a particular trait or characteristic. Starting at 5:00pm with foal registrations and progressing to an informal dinner and Q & A at 6:00pm, we hope to see you all there! November 9, 2018 By HHSA / Posted in 2018. The National Hanoverian/Rhineland Tour is being held February 16 – February 27. The dates have changed from the preliminary dates released earlier, so please check with the Registrar. Two international classifiers will fly in all directions in order to cover Queensland, New South Wales, Victoria, South Australia and Western Australia. Stallion Licensing will occur in 3 States. 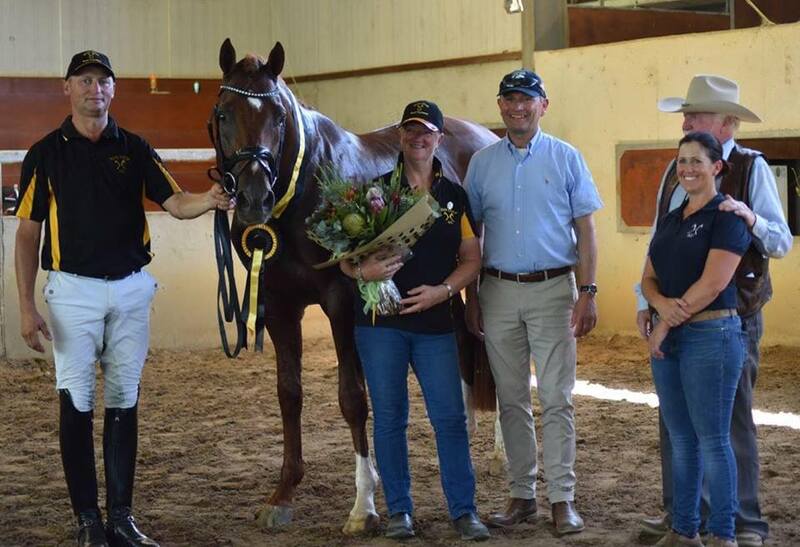 The licensing is only possible as a Commission of 3 classifiers will come together in Brisbane, Sydney and Melbourne to view older stallions that have achieved their performances through the sport and young stallions where their owners will be nervous about the outcome. October 8, 2018 By HHSA / Posted in 2018. April 5, 2018 By HHSA / Posted in 2018. March 27, 2018 By HHSA / Posted in 2018. February 16, 2018 By HHSA / Posted in 2018, Competitions. 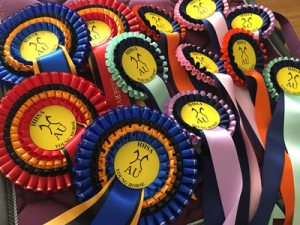 Welcome to the HHSA 2018 YH Championships 17th & 18th February 2018 Gatton Indoor Arena.